Watch the calories BURN! 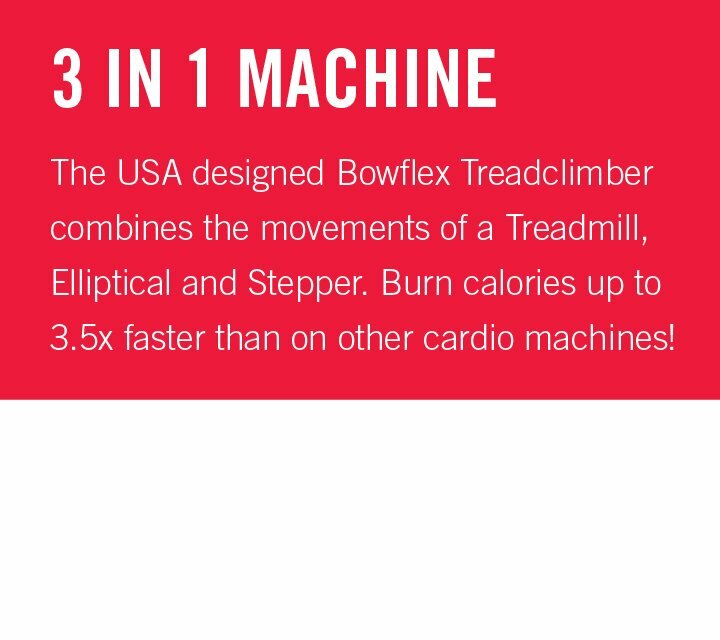 The Bowflex® Treadclimber® TC10 combines an elliptical, treadmill and stairclimber to provide you with a low impact, but highly effective workout. 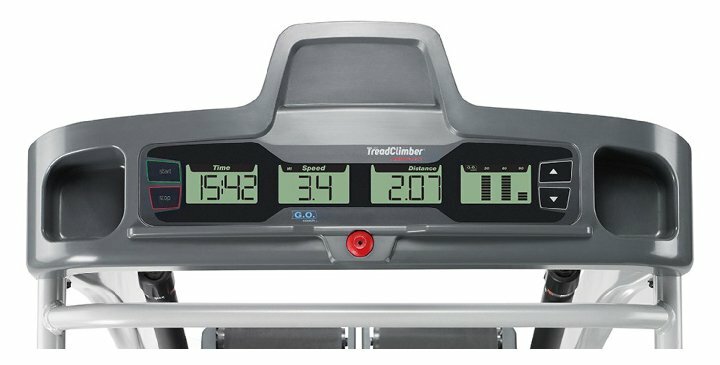 The incline feature enables you to burn calories 3.5 times faster than other cardio equipment (in the same amount of time!) and presents noticeable results, simply by walking! Let the pounds slip away, feel your fitness improve, and witness as your muscles tone. The user-friendly LCD display allows you to monitor Speed, Time, Distance and Calories burned at ease. 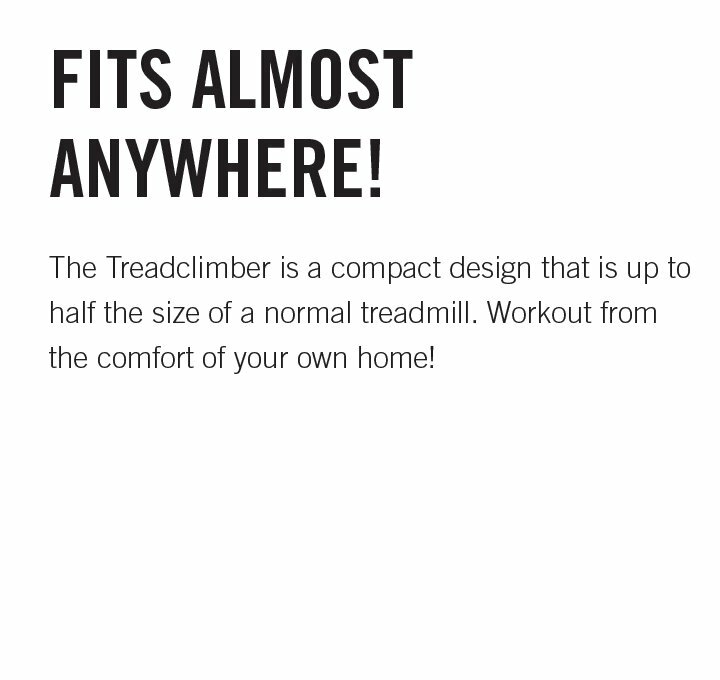 The Treadclimber® TC10 has a compact design, suitable for all homes and living spaces. 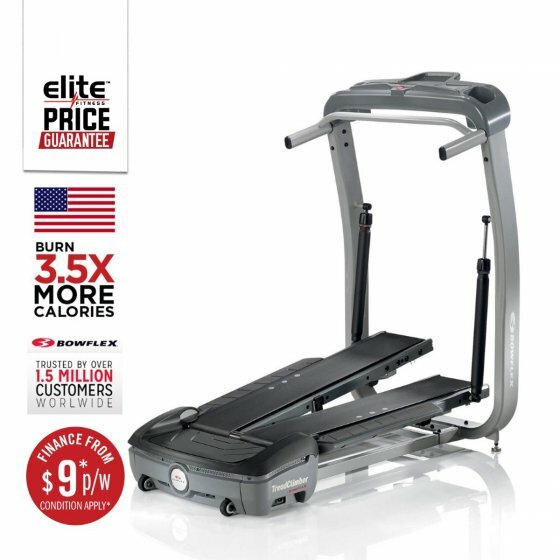 Finance: Purchase a Bowflex TC10 Treadclimber for $7.00 per week. Terms include a 12-month interest-free period with a deposit payment of $199 - finance option is based on a 36-month contract. Alternatively, we are able to tailor make a payment plan to suit you. For more information on our finance options click here or contact your nearest Elite Fitness store. 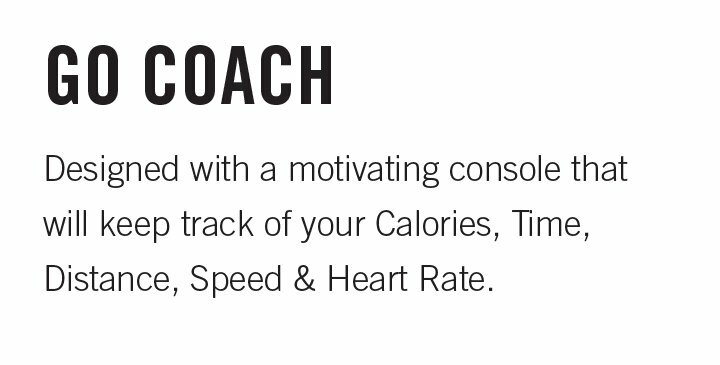 4 LCD Display Screens: Displaying valuable feedback including; Time, Distance, Calories, Speed & Heart Rate. 3 in 1 Cardio Machine: Burn 3.5 times the calories in the same amount of time as other cardio machines. 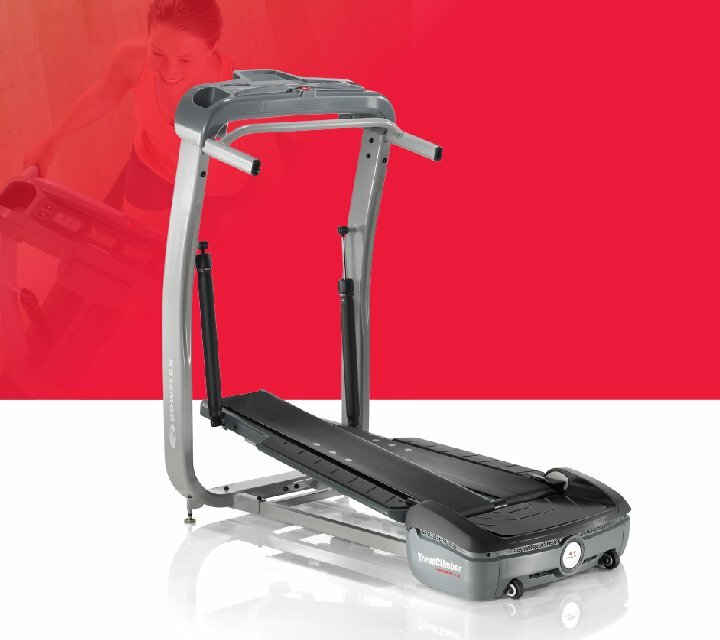 6.4km/h Speed Control: Located on the console, start off steady and adjust the speed to build up your fitness and stamina. 4 Electronic Functions: Easily adjust your speed with Up and Down arrows and quick start/stop buttons. 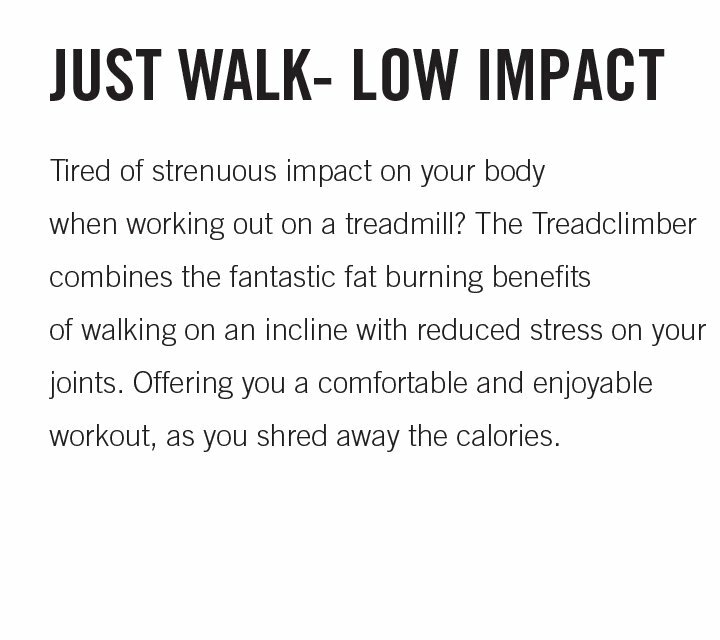 Low Impact Machine: Dramatically reduce the force and impact that goes through your joints while walking. Compact Design: Smaller footprint than most normal treadmills. Built-in Tablet Tray: To hold your device so you can enjoy your own personal entertainment.